Chocianów lies 25 km east of Lubin. After entering the town, you need to follow the road no 331 for Polkowice. Then the palace will observable in the park by the main road. At the place of a present palace in the XIIIth cent. 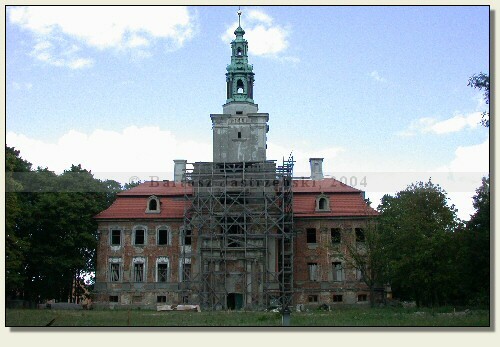 a duke Bolko I of Świdnica-Jawor erected the castle. In 1444 the castle became the property of the Dornhein family, and next the Nostitz, the Stosch and the Dohn families. In the years of 1728-1732 the building went through a thorough reconstruction, which gave it a current form. In 1997 the palace was bought by its present owner.